Fall is in the air. This year I’m in no rush: Summer has been magnificent and I could personally handle months more. But there’s an edge of yellow on some plants, and some days and nights are cold. 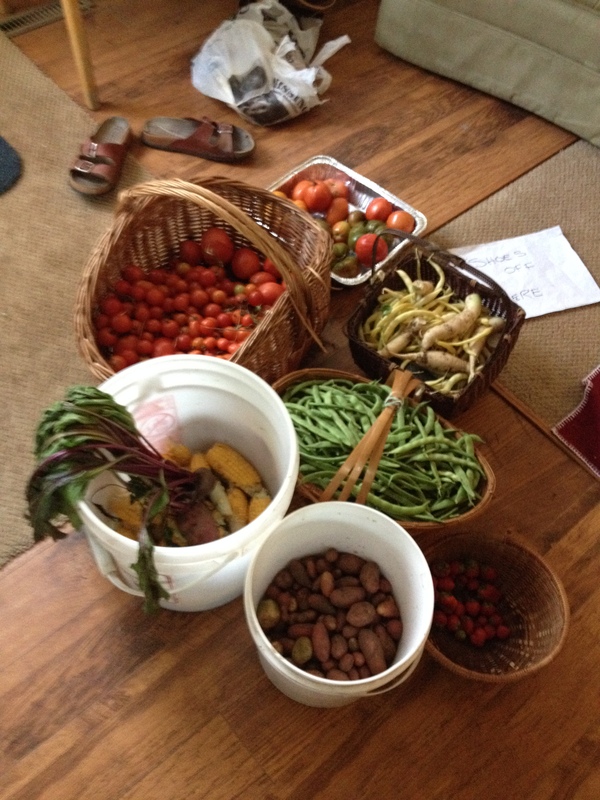 Farm: It’s harvest time for the biggest garden I’ve ever lived with. The photos show maybe half of what we gathered one day. Still racing to get tree tubes on and other stuff before the first frost; TR and friends are in charge of that stuff. But I have to process it. 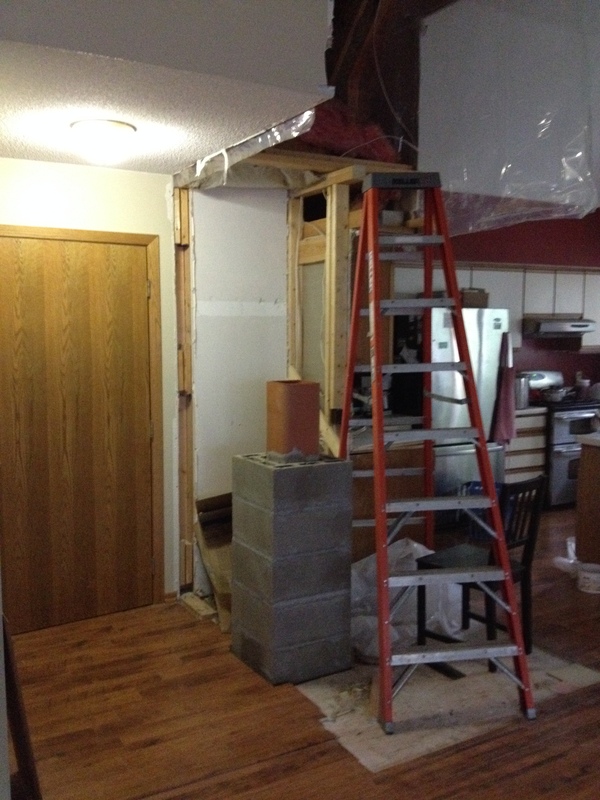 Finally making headway on going off-grid: the chimney for the masonry heater, thanks to Chris and Justin. Next will be the wood cook stove, and then I have to start learning. 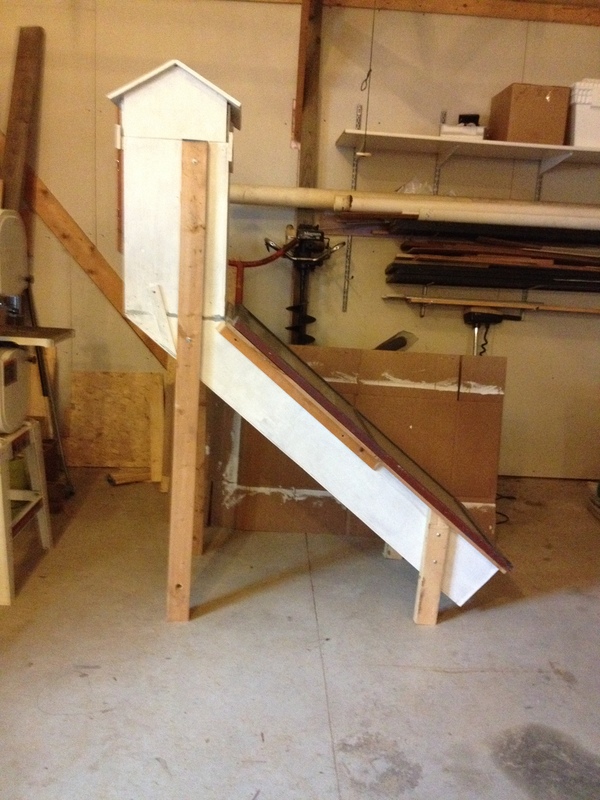 Meanwhile I found a way to get the solar dehydrator to happen: pay Ryan to build it. Should be done in a few days, and in go the tomatoes. 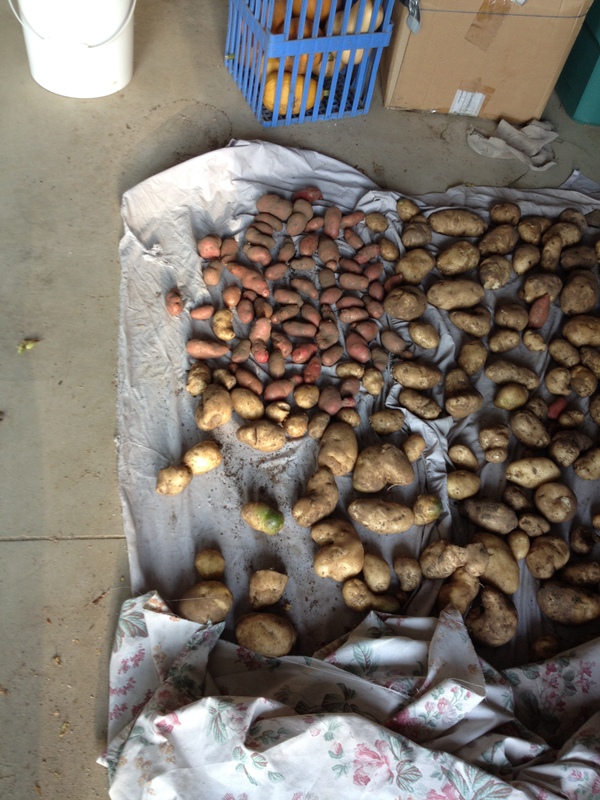 Studying about root cellaring, with potatoes and beets and carrots and pickles to go there, and later squash. And I’m throwing beans, tomato sauce, carrots, corn, and even tomatoes into the freezer, because it’s all too much. Personal: I’m learning to manage, learning to farm, but long for my real work, which is about Zen, about opening up consciousness, about the big picture. This week I wrote an essay for Sweeping Zen; it was harder than expected because I’m out of practice. I’ll share it after it’s published. For the moment, I’m letting go of money worries, but think I’ll be looking for work soon (after one false start a few months ago). The Syrian refugees are now on the list for chanting, along with my sister-in-law and a few others. Looking at the world’s suffering, looking at what could be done and is not, I try to be kind to myself as I look and listen for what my own offering is. Events: The fall schedule is in the previous post, but I’ll just mention October 3, a one-day introduction to Zen practice at the farm, and October 10, the next volunteer day. Hopefully that day will be in the woods, pulling buckthorn and planting beneficial replacements. Volunteers, wishes, thanks: I most wish for these: a publicity person, a volunteer coordinator, an accountant (or just somebody to keep records), and a mechanically inclined person to fix the tractor. Meanwhile I love the people who show up to do the everyday things, including Allison who sent lunch for the last volunteer day. (So I could mention everybody. Donna and Andrea and Laurel come to mind. Jenny for donating plants and putting them in. ) But this is why I’m wishing for help here – there’s so much to remember!) And I thank everyone who has donated, or shared my information, or organized their schedule so they could come by or so I could have some social time. Facebook page: Mountains and Waters Alliance. Please sign up if you like. I’m going to pick some more strawberries. And raspberries, and tomatoes, and squash. Reblogged this on The Window.